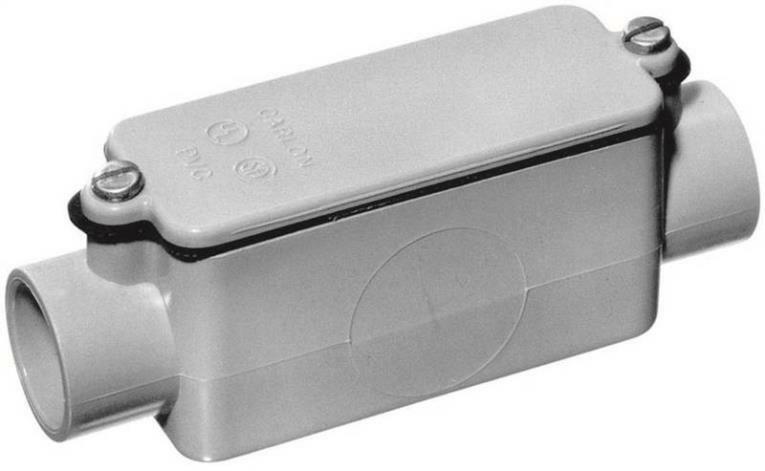 NONMETALLIC SHEATHED CABLE CONNECTOR Clamp type Die-cast zinc Use in dry locations Use with a box or an enclosure Cable size - 2 #14 & #10 or 3 #14 or #12 without ground 2711 1/2 IN. 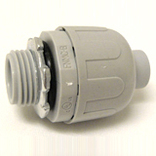 CLAMP TYPE CONNECTOR SIZE:1/2"
CONDUIT BODY - TYPE C For non-metallic schedule 40/80 conduit Type: C Used as a connector in straight line - installations This allows access for wire pulling and - limited wire splices as allowed by NEC 5133101U 1/2 IN. TYPE C COND BODY SIZE:1/2"
EMT CONDUIT BENDER Thin wall conduit bender Built-in 45 & 90 degree levels Plus 30, 45 & 90 sight down arrows High strength, lightweight aluminum alloy 931B 3/4 IN. 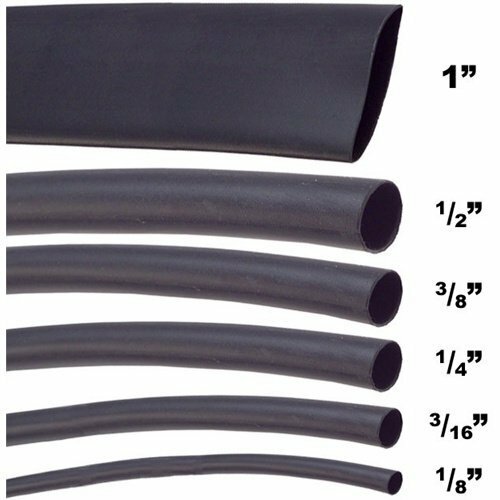 EMT CONDUIT BENDER SIZE:3/4"
EMT CONDUIT BENDER Thin wall conduit bender Built-in 45 & 90 degree levels Plus 30, 45 & 90 sight down arrows High strength, lightweight aluminum alloy 930B 1/2 IN. 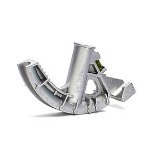 EMT CONDUIT BENDER SIZE:1/2"
CONDUIT BODY TYPE LR For non-metallic schedule 40/80 conduit Type: LR Used for 90 deg. direction change of conduit run Rectangular shaped conduit body-removable cover Two conduit hubs; one facing the cover side with- the end wall hub pointing up. other hub is in- the right hand side wall at opposite fitting end 5133654U 1 1/2 IN. T/LR COND BODY SIZE:1-1/2"
PVC Pipe Conduit Bender 3/4" PVC Pipe Conduit Bender 3/4"
PVC Pipe Conduit Bender 3/4"- - And easy to use Bender for PVC Pipe 40. NOTE: Room temperature should be above 60°F. 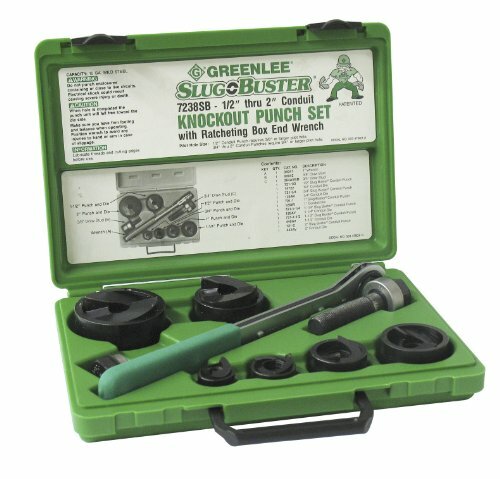 Size: 3/4" This item does not ship to APO/FPO addresses. 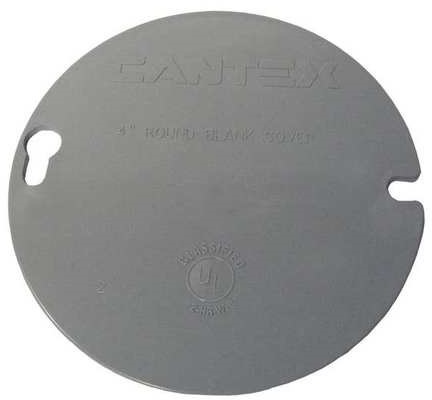 ROUND BLANK COVER 4" round box cover for covering boxes not in use Durable PVC cover will not rust or corrode Keyhole & notch design for easy installation EZYKLR 4 IN. 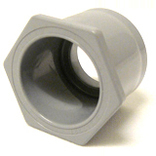 ROUND BLANK COVER SIZE:4"
STRAIGHT CONDUIT FITTING Liquidtight For nonmetallic fitting 6441001C 1/2 IN. CONDUIT FITTING SIZE:1/2"
PVC Pipe Conduit Bender 1" PVC Pipe Conduit Bender 1"
PVC Pipe Conduit Bender 1" - And easy to use Bender for PVC Pipe 40. Size: 1" This item does not ship to APO/FPO addresses. 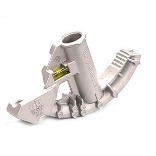 STANDARD UL PVC COUPLING Connector used to join spigot (plain) ends- of lengths of conduit pipe Fitting consists of two solvent weld female - ends with a center stop Both pieces of pipe should seat at the stop - for proper positioning Conforms to NEMA TC-3 and UL 514 6141625C 1 IN. 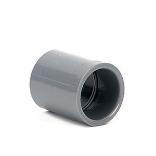 PVC COUPLING SIZE:1"
90 DEGREE SCHEDULE 40 ELBOW Offers 90 deg. 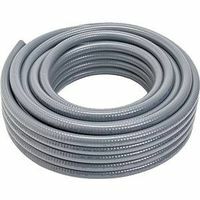 direction change in conduit run Use with Schedule 40 non-metallic fittings Both ends are spigot (plain) & solvent weld Will not rust or corrode Can be used above ground or buried and is- suitable for concrete encasement Conforms to NEMA TC-3 and UL 514 5133824U 3/4 IN. 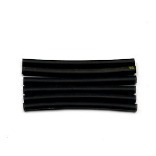 PVC 90 DEG ELBOW SIZE:3/4"
Thin Wall Heat Shrink Tubing Kits Black - Heat Shrink Tubing for Electrical Insulation. 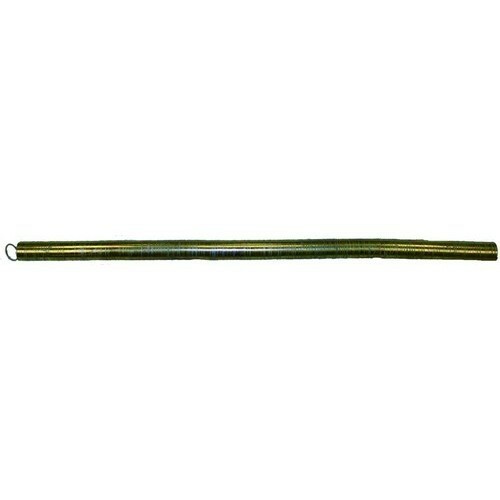 Length: 1.375" Qty: 20 Black Dia. Before Shrink: .078" Dia. After Shrink: .029"
Length: 1.375" Qty: 20 Black Dia. Before Shrink: .098" Dia. 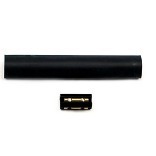 After Shrink: .039"
Length: 1.375" Qty: 20 Black Dia. Before Shrink: .137" Dia. 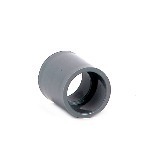 After Shrink: .059"
Length: 1.375" Qty: 20 Black Dia. Before Shrink: .212" Dia. After Shrink: .098"
Length: 2.953" Qty: 10 Black Dia. Before Shrink: .251" Dia. 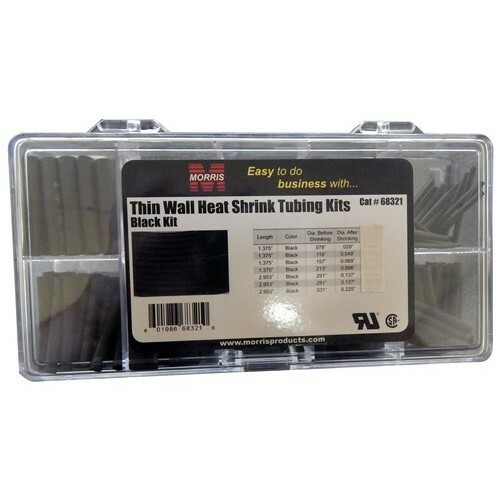 After Shrink: .117"
Length: 2.953" Qty: 5 Black Dia. Before Shrink: .370" Dia. 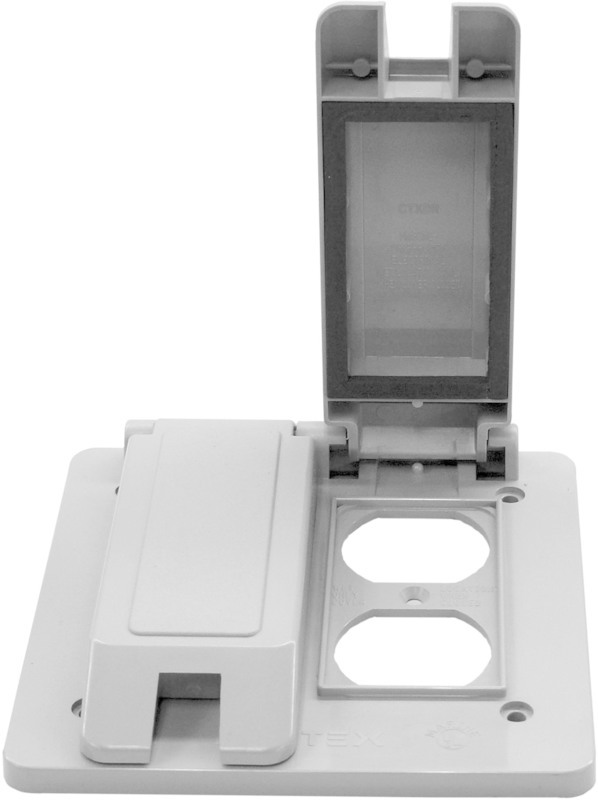 After Shrink: .176"
This item does not ship to APO/FPO addresses. 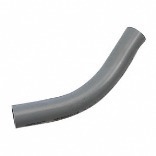 Conduit Benders 1" EMT 3/4" Rigid - Easy to use and lightweight Conduit Bending Tool. 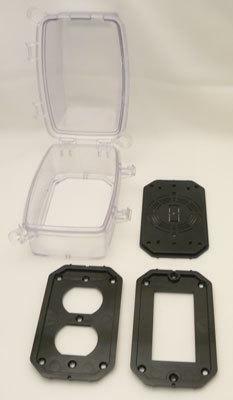 Case Qty: 15 This item does not ship to APO/FPO addresses. 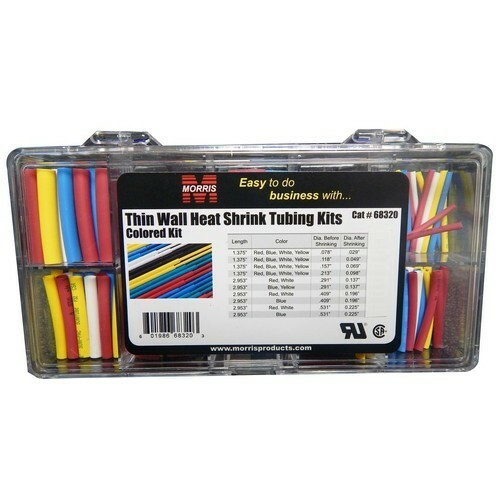 Thin Wall Heat Shrink Tubing Kits Colors - Heat Shrink Tubing for Electrical Insulation and Color Coding. Length: 1.375" Qty: 5 Ea Red, Blue, White, Yellow Dia. Before Shrink: .078" Dia. After Shrink: .029"
Length: 1.375" Qty: 5 Ea Red, Blue, White, Yellow Dia. Before Shrink: .098" Dia. After Shrink: .039"
Length: 1.375" Qty: 5 Ea Red, Blue, White, Yellow Dia. Before Shrink: .137" Dia. After Shrink: .059"
Length: 1.375" Qty: 5 Ea Red, Blue, White, Yellow Dia. Before Shrink: .212" Dia. After Shrink: .098"
Length: 2.953" Qty: 3 Red, 2 Blue, 3 White, 2 Yellow Dia. Before Shrink: .251" Dia. After Shrink: .117"
Length: 2.953" Qty: 1 Red, 2 Blue, 1 White, 1 Yellow Dia. Before Shrink: .370" Dia. 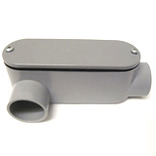 After Shrink: .176"
45 DEGREE SCHEDULE 40 ELBOW Use with Schedule 40 non-metallic fittings Both ends plain Will not rust or corrode Can be used above ground or buried and is- suitable for concrete encasement Conforms to NEMA TC-3 and UL 514 5133765U 1 IN. 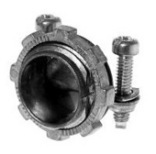 SCH40 45 DEG ELBOW SIZE:1"
SCHEDULE 40 MALE X FEMALE REDUCER Special application fittings For non-metallic schedule 40/80 conduit Male x Female 5142221C 1 IN. X3/4 IN. 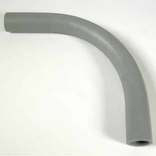 REDUCER SIZE:1"x 3/4"
CONDUIT BODY TYPE LL For non-metallic schedule 40/80 conduit Type: LL Used for a 90 deg. 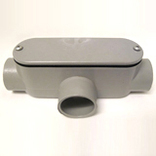 direction change of conduit Rectangular shaped conduit body-removable cover Contains two conduit hubs; one facing the cover- side with the end wall hub point up Other hub is in the left hand side wall at the- opposite end of the fitting 5133662U 1 IN. 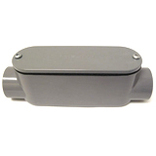 TYPE LL CONDT BODY SIZE:1"
CONDUIT BODY - TYPE T For non-metallic schedule 40/80 conduit Type: T 5133564U 3/4 IN. 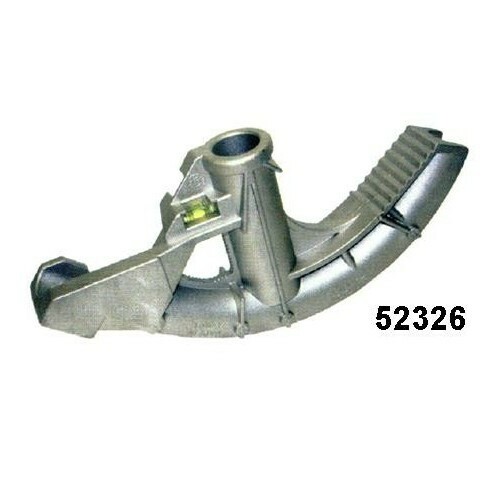 TYPE T COND BODY SIZE:3/4"
CONDUIT BODY - TYPE T For non-metallic schedule 40/80 conduit Type: T 5133568U 2 IN. 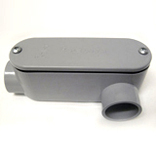 TYPE T CONDUT BODY SIZE:2"
45 DEGREE SCHEDULE 40 ELBOW Use with Schedule 40 non-metallic fittings Both ends plain Will not rust or corrode Can be used above ground or buried and is- suitable for concrete encasement Conforms to NEMA TC-3 and UL 514 5133764U 3/4 IN. 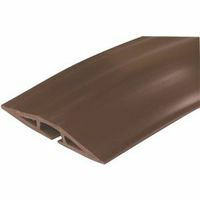 PVC 45DEF ELBOW SIZE:3/4"